Network marketing can be a rewarding line of work, but it’s also a challenging one. You need to take advantage of every opportunity available to you if you intend to achieve your goals and really thrive in the network marketing arena. To begin with a very general principle, don’t set yourself up as the lone ranger. It’s true that you need to be a self-starter to get ahead in network marketing, and the ability to work on your own is essential. This doesn’t mean that you have to do EVERYTHING by yourself, though! Get help when you need it, whether it’s advice from your upline or a helping hand from other people in your program. In fact, take help whenever it’s offered, whether you need it or not. Building goodwill is never a bad thing. Of course, you can’t excel in network marketing by speaking exclusively to the people you already know. You have to spread the word and introduce new people to your program. Whether you’re looking for sales leads or potential recruits, the ideal kind of person to deal with is one that will help you spread your message further. Be on the lookout for enthusiasm and strong socialization skills; these characteristics will always serve you well. In the modern world, you can’t afford to ignore the Internet. 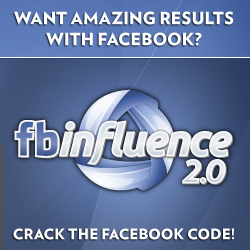 It can be an incredible tool for supercharging your network marketing work. Take the time to establish your presence online. You should have a website, a blog, and pages on the major social networking sites, such as Facebook. Don’t hesitate if you lack the technical skills to run these things; it just gets easier and easier to pick up the know-how you’ll need. One terrific opportunity that the Internet gives you is the ability to share videos for free. Because your face-to-face presentation is probably your strongest marketing tool, you might think that there are limits to how much good marketing work you can do online. Thanks to free video sharing, though, you can send your presentation around the world and make it available to anyone at any time. Don’t worry about video production values. Concentrate on rehearsing and perfecting your message instead. Use electronic means to keep up with your growing network of leads and potential recruits. Whenever you get contact information, make sure you get email addresses, too. Make good use of those addresses by crafting strong marketing messages that will engage interest and compel further participation from your leads. If you’ve made a blog part of your network marketing portfolio, encourage people to sign up for its RSS feed. While you don’t want to pester people, sending them multiple messages over time will keep them connected and prevent them from drifting away. You’re going to need drive, determination and hard work to achieve your network marketing goals. Your odds of doing so are much better when you make use of proven strategies like the ones outlined above. When you’re applying yourself according to a principles that other network marketers have found rewarding in the past, you make your own success that much more likely. Start incorporating these strategies into your next network marketing campaign and see how much your responses improve!